For the past three months I have been traveling with my husband up to see my new in-laws in the northern mountains of Utah. Whether we’re going up for a family dinner, or for a hunting trip (yes, my husband likes to hunt) we generally go the same way. The 90 minute trip for us starts in Salt Lake. About half to their house we make a turn at the bottom of what is called Trappers Loop. 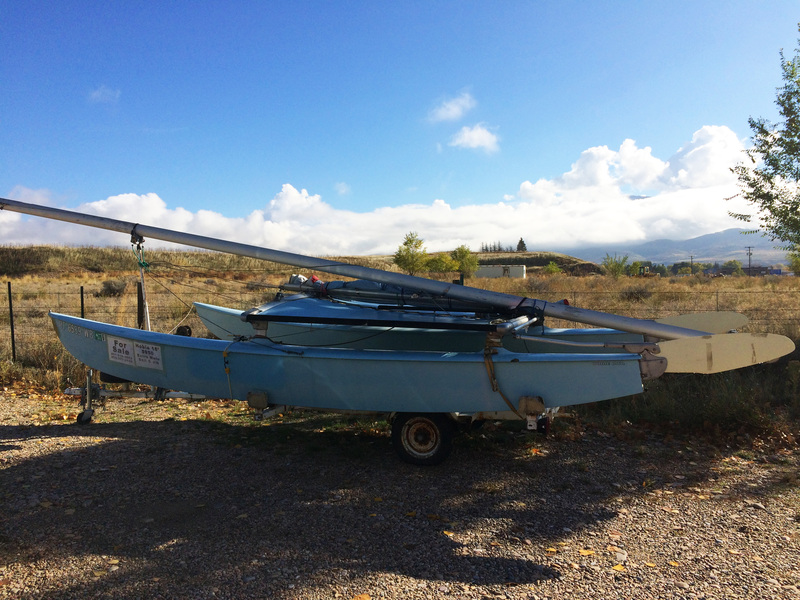 There are only two things at the bottom of Trapper’s loop; a gas station and an old blue Hobie Cat 16′. Every time we pass it we think about making an offer to the owners of the boat. After all, it’s been just sitting there with a “FOR SALE” sign for over three months. Finally on our tenth (or so) time passing by, we decided to stop and take a look. 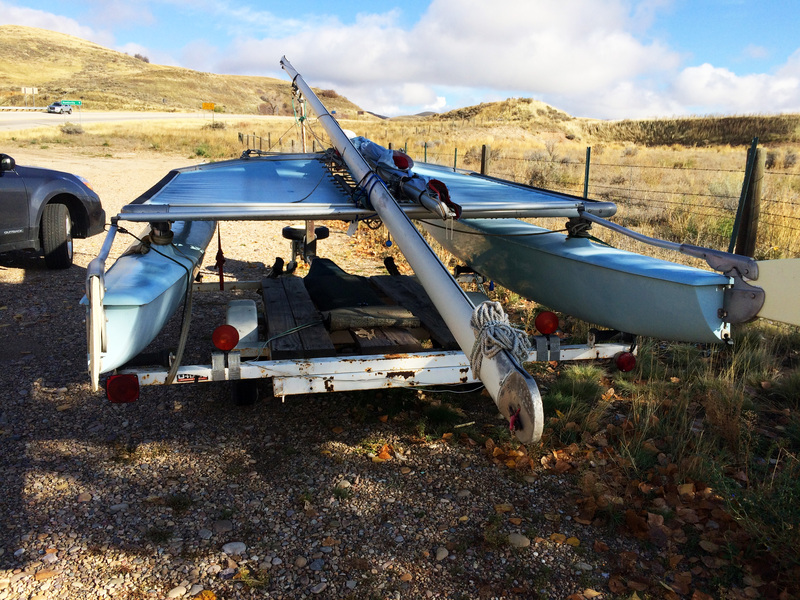 I quickly realized that although I have been sailing for many years, behind the scenes of Get Wet Sailing and out with my dad an brother on countless occasions talking and thinking, I still needed some help on what to look for when buying a used Hobie Cat 16. Then I realized if I needed some tips to look for, some of our readers might too. After consulting with my experts (Terry and Tyler) here is the list we came up with. Take pictures- We took some pictures to send to our experts, but it’s always good to have a reference to look at in case you are talking to the owner and away from the boat. Or even if you need to look at anything for a second time, a picture will come in handy. 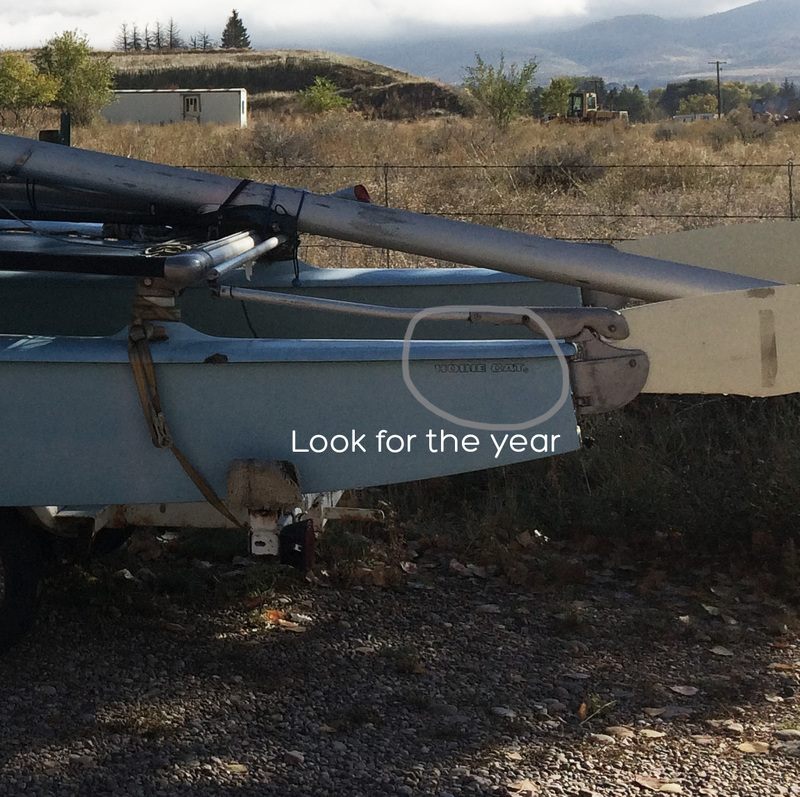 If it has ever been registered, the year that the boat was made should be listed near the back of the hull. Research-Once you figure out the year it was made, then you need to do some research to some online forums. 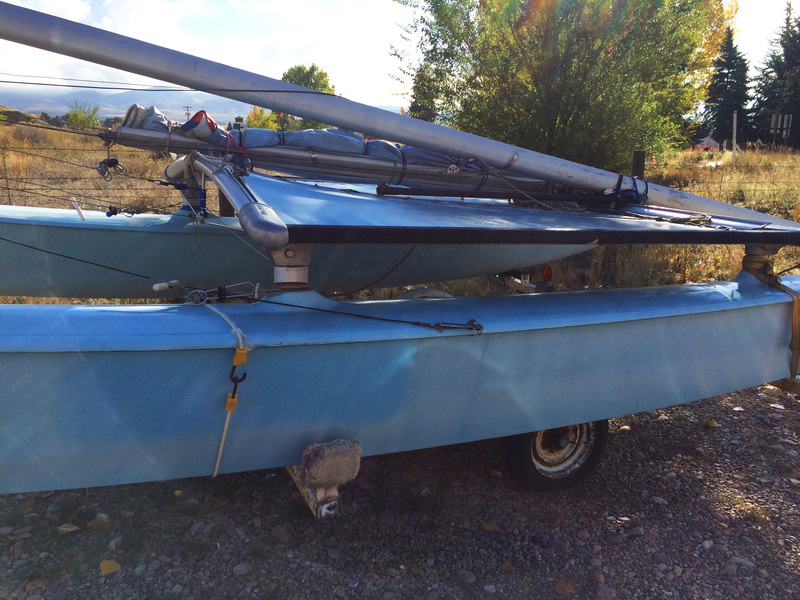 See if anyone else has ever bought a Hobie the same year and look for any concerns or difficulties previous owners have had. Touch- Walk around and press down gently on different places on both hulls. If you feel any soft spots, you may want to rethink your offer to buy. Soft spots will often lead to some major hull repair. Tramp, Lines, Sails, Rudder- Make sure all look good. Lines are by far the easiest and cheapest to replace. The other three will cost you a pretty penny, probably more than what you’ll be buying the entire boat for. Trailer-It’s good to be mobile, it’s even better to have a good working trailer. This too will be expensive to replace and repair.